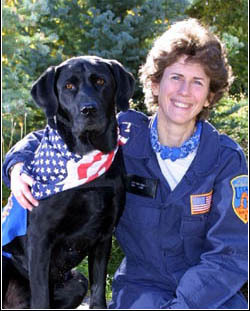 Jake started out an abandoned, injured puppy, but was adopted and trained by Mary Flood to be a search and rescue dog. Jake and Mary searched for survivors in the rubble at the World Trade Center after 9/11 and in the flooded homes in Mississippi after Hurricane Katrina. And he was helping Mary train other search and rescue dogs. 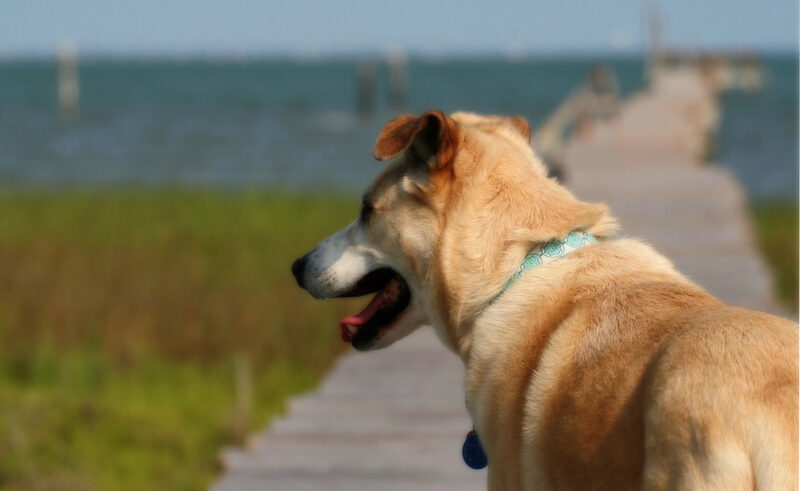 Sadly, Jake was euthanized at the age of twelve after battling cancer. But even after death, Jake will continue to help people. He is part of a study of 9/11 search and rescue dogs conducted by the University of Pennsylvania School of Veterinary Medicine to learn what, if any, were the long-term effects of searching the WTC rubble. Hi. My 8 y/o daughter heard about Jake the rescue dog. When she received a black webkinz yesterday, her first thought was to name him Jake after this heroic dog! It was so sweet! Thank you for posting about this sweet guy. What a great contribution he made to the cause of human well-being in his brief life – would that many of us could claim as much. I read about Jake’s passing on Thursday morning, and that night our 12 year old Black Lab went into seizures and died. It was the most horrible night of our lives and we take comfort in the fact that if it was his time to go, he was in good dog company with Jake.